Manages to keep your attention, but doesn’t make you feel like part of the experience. Meet Hercule Poirot – world renowned private detective (played by Kenneth Branagh). 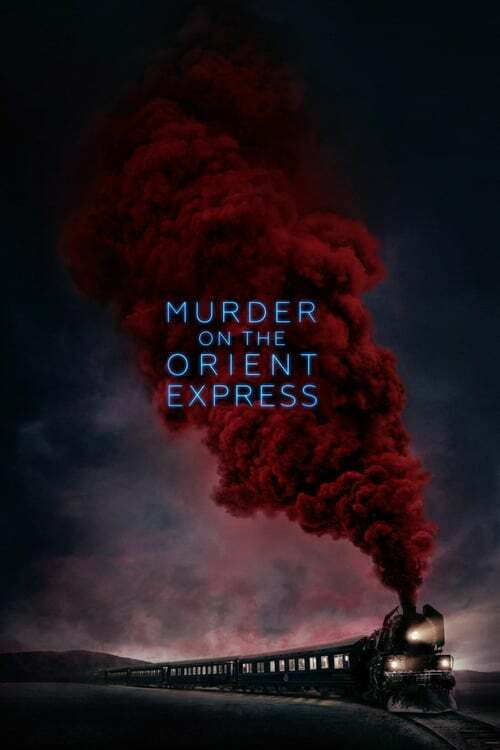 In the opening sequence of this new version of Murder on The Orient Express, the obsessive compulsive detective publicly announces his findings in the case of a stolen religious artifact. He showcases his attention to detail, his awkward sense of humor, and his deducing skills as he not only reveals the identity of the thief but accurately deduces the criminal’s escape route to stop him without even trying with a well-placed obstacle that had seemed like a random act of eccentricity on his part. From there, the detective makes takes his leave for a much-needed vacation and convinces a friend to get him a spot on The Orient Express (poorly named as we’re nowhere near the orient) in order to have his rest. The vacation doesn’t work out, unfortunately, as he encounters several annoying and unsavory characters while onboard… and when the train gets derailed in an avalanche he finds himself on a whole new case when there’s a murder onboard! Now he must question all 12 of the surviving passengers to uncover the murderer strikes again… a task that’s difficult when he discovers every single one of them has a connection to the murder victim, including himself! Murder on the The Orient Express is further proof that Hollywood will continue to do remakes again and again for as long as they believe it will put butts in the seats. Based on the novel by Agatha Christie, this is the 4th time this story has been splashed on the silver screen – first in 1974, then in 2001, and most recently just 2 years ago in 2015 with a Japanese cast. Fair warning: I have not read the source material, nor have I seen any of the previous 3 cinematic iterations. My thoughts on this film are solely based on this film alone without any preconceived notion based on earlier versions. The characters of this story are brought to live with a star-studded cast. In addition to Kenneth Branagh, you’ll see Daisy Ridley (the heroine of the new Star Wars films), Michelle Pfeiffer (who hasn’t been in a film since 2013 but marks her 3rd appearance this year), Johnny Depp, Penelope Cruz, Willem Dafoe, Josh Gad, little known Leslie Odom Jr. (who’s done mostly TV appearances), and the legendary Judi Dench. Needless to say, with a cast like that, the acting of this film was on point. Or was it? It’s hard to act well when given poor dialogue to work with. The first act of this movie was loaded with expositional dialogue that often felt cheesy coming out of these famous mouths. So while I believe these stars did the best they could with the material they were given. Much of the dialogue up until the avalanche felt forced and corny. More like a daytime soap than a $55M feature film. Hard to believe the same man (Michael Green) who wrote Logan, Blade Runner 2049 also wrote this and Green Lantern… alas the dialogue here felt closer to the emerald letdown than the final outing of everyone’s favorite mutant. After the avalanche catapults us into the heart of our story, everything picks up: better dialogue, better pacing, better editing, better EVERYTHING! The second act of the film is interesting and entertaining as we the viewer do our best to put the pieces together and keep up with Hercule Poirot as we try to solve the murder ourselves for the duration of this who-dunnit story. Of course, we never can. Hercule Poirot has the same problem as that other famous detective Sherlock Holmes: he’s playing with far more pieces than we are. The man can seemingly do no wrong. He is flawless. His obsessive compulsive disorder is no disorder for him at all but a masterful strength that lets him see and hear every detail. On top of that, he has a seemingly endless wealth of both knowledge and recall including knowing exactly what sort of shoe would make a certain print, recognizing the exact model of handgun used by police in a city thousands of miles away from his own place of origin, and hearing a slight slip of dialect in the pronunciation of a word. The deck is stacked in Poirot’s favor to such a degree that we never question that he’ll be able to solve the case. We never fear for his safety as he’s proficient and handling himself with both brains and brawn, and his only flaw ever is that he misses his deceased wife something fierce. He’s too perfect of a protagonist and his task at hand is not up to the task of being his equal. It’s this reason that so many people dislike Superman as character, and that Max Landis ranted on Twitter about “Mary Sue’s” after viewing The Force Awakens. How can we care about a character who can do no wrong? The rest of the story plays well when needed and is misleading in appropriate places, eventually reaching a conclusion that, personally, I thought was ridiculous but made a certain amount of sense once explained…but I would never have been able to come so the same conclusion as the detective because he had way more pieces of the puzzle than I did. As a movie, this version of Murder on The Orient Express kept my attention, was professionally acted, and beautifully shot. As a mystery, it failed to do its job because it kept me as a viewer rather than a participant.